Take a different approach to clearing - and preventing - your acne. 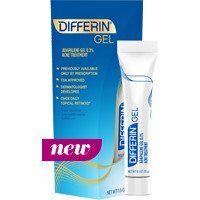 Oil-free, fragrance-free Differin Gel contains the retinoid adapalene, the first new over-the-counter active ingredient for acne in more than 30 years. It’s what you and your skin have been waiting for. Use daily. Live beautifully.